This time of the year makes me really lazy and I just do not feel like doing anything. lazy days are here again!!! Normally, I am good at multitasking (so, if you got to see typos and few errors them blame that on this habit..lol) but this time I cannot even concentrate on one thing..
feels like a polar bear, who's about to go hibernation!!! I have already reviewed them so click the links to read the full review. Out of these four my favorite color is Rosy Blush. 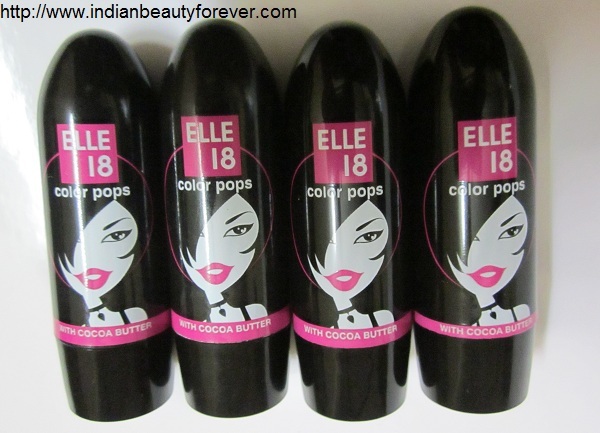 It has a decent pigmentation than rest of them and good texture and application in not at all patchy unlike the rest. That cocoa butter in the center does provide the moisture but it also makes the application patchy, i think. I used to love them earlier when they have that lilac colored packaging rather than this packaging. But overall if I see then they are cheap and pocket friendly with decent pigmentation. 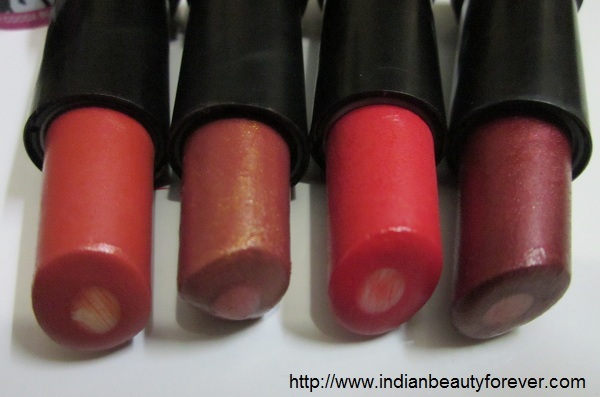 If you are thinking of a budget friendly and would like to have many shades then try them. They are nice at that price. They are really famous amongst people on Budget or college goers. I personally will recommend to try at least one from this range, if you have not tried it so far and also do not even mind trying this brand!! 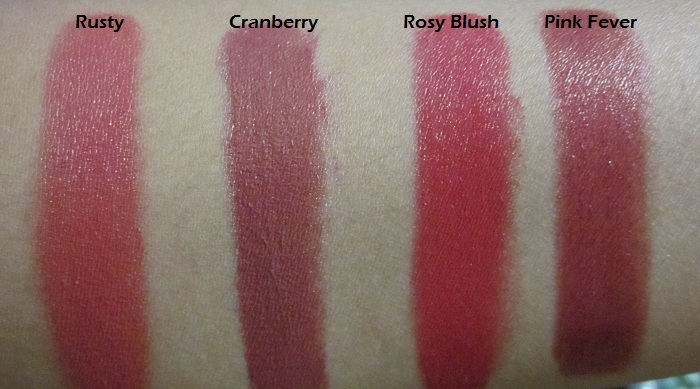 Rosy blush is so pretty and pigmented! 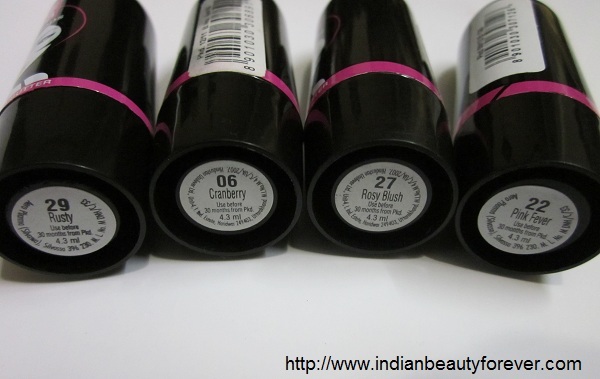 Rosy blush is indeed very pretty. Rusty is my favorite shade! I like the pink undertone! I'd love to wear that! Thanks for swatches, they seem so rich! I was feeling a little lazy so skipped the swatches. :) and put in the link of the individual posts. Rosy Blush is very pretty and I liked rusty too. Forgive my ignorance, what's that white thing in the center of each bullet? Are these built around a stick? That center is cocoa butter that gives moisture as per the company. It is a pretty color, i am sure will look great on you! I love it too.. it's a gorgeous color! !